2017 Society of Voice Arts and Sciences (SOVAS) Nominee for "Outstanding Body of Work"
We are overjoyed to announce that Mrs. Liz Helgesen is being formally recognized by the Society of Voice Arts and Sciences (SOVAS) for "Outstanding Body of Work". The New York based SOVAS recognizes top talent in the industry under several categories on an annual basis. 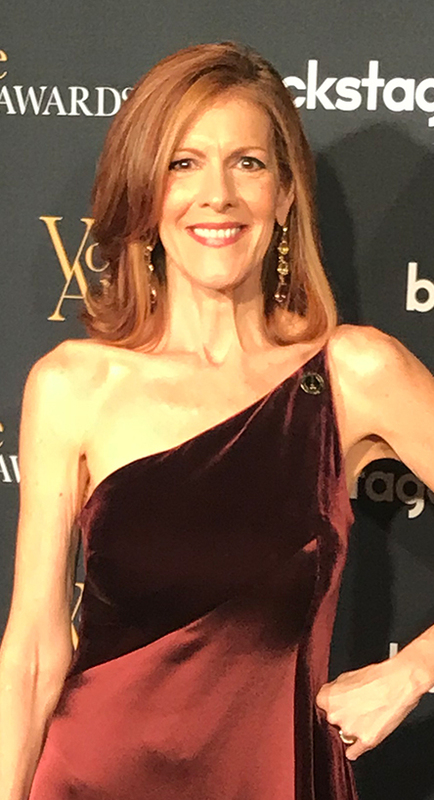 According to SOVAS, this year's entries were up 33 percent; so Liz clinched a nomination against a long list of fierce, high-caliber competitors. 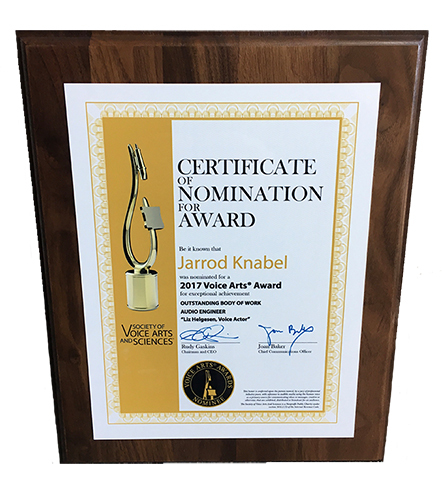 Being named a nominee for "Outstanding Body of Work" is a coveted accolade marking a 30 year career milestone. Liz is a model for the ambitious as her persistence and passion have culminated into a distinguished success.